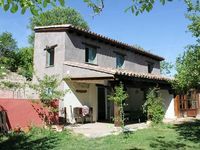 Properties in T贸rtola de Henares average 4.9 out of 5 stars. 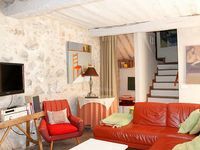 Property 8: Tourist apartment "La Cañada"
Casa Rural Pitas Payas & SPA: heated pool, fireplace ..
Property 15: Casa Rural Pitas Payas & SPA: heated pool, fireplace ..
Holiday house for 10 people in a rural environment, full rental. Property 21: Holiday house for 10 people in a rural environment, full rental.